With the word “xenia” (the ancient Greek concept of hospitality) as his inspiration and combined with his passion of offering “philoxenia” (eagerness to show hospitality), George Papadopoulos launched the hotel brand Xenia Resorts & Villas to offer high standards of accommodation to foreigners visiting Greece, as well as domestic travelers. Launched in 2012 and currently consisting of six properties located in Greek destinations accessible by car – Evia, Lefkada, Pylos and Marathon, the Xenia Resorts & Villas brand focuses on offering high quality summer holidays to experience-seeking travelers. “My brand offers only summer resort properties and villas. 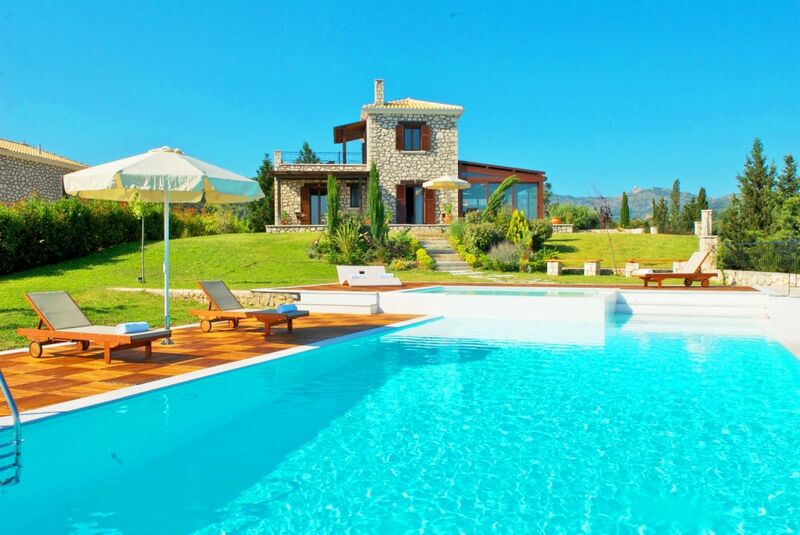 The Xenia Resorts & Villas product offers Sun & Sea… Greece’s strongest selling points,” George told GTP Headlines. According to his years of experience in hospitality, George has concluded that cultural interest comes second for travelers in Greece. “The most common question for information by guests to our concierge service agents, is the direction to the best beach and not the best museum in the area,” he says. In this interview, George analyzes the concept of the Xenia Resorts & Villas brand and also discusses various topics including short-term rentals, Greece’s need to improve its infrastructure near tourism destinations and his future plans. GTP: Please share some career highlights with our readers. George Papadopoulos: I completed my studies in Hospitality Management, in two public universities in London, where also my career started at the Hilton and Sheraton Hotels. Thomson Holidays offered me a position in Greece, following the merge with TUI, in the position of Differentiated Products Manager for Greece & Cyprus, which I found a real challenge as it involved selecting hotels for hotel club concepts. A great experience in my career was the launch of youtravel.com, as the Contracts and Special Projects Senior Manager, directly contracting, with local visits, over 2000 hotels in mostly Mediterranean destinations such as Egypt, Morocco, Mallorca, Canarian Islands, Turkey, Greece, Cyprus, Crotia, Bulgaria, and later as Director for the launch of Aquis Hotels, which expanded with 16 hotels within less than two years. Thereafter, I decided to create my own business by building or acquiring small differentiated accommodations and creating the Xenia Resorts & Villas. GTP: When and how was the Xenia Resorts & Villas brand born? What does its concept involve and why the name “Xenia”? 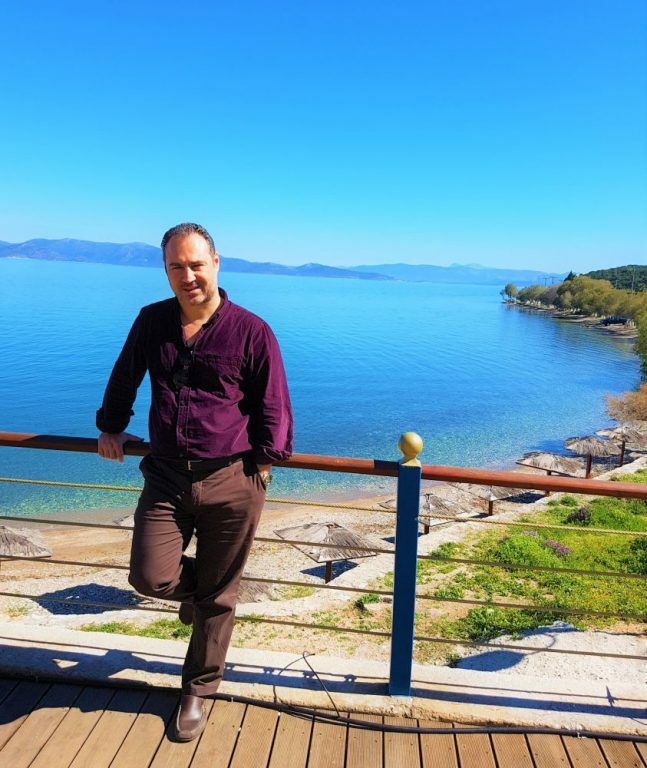 George Papadopoulos: “Xenia” and my passion of offering “philoxenia” to visitors, is the Xenia Resorts concept. The brand Resorts & Villas is created from the products we offer, only summer resort properties and villas. It started in 2012, and since then, one property is added every year to the portfolio. 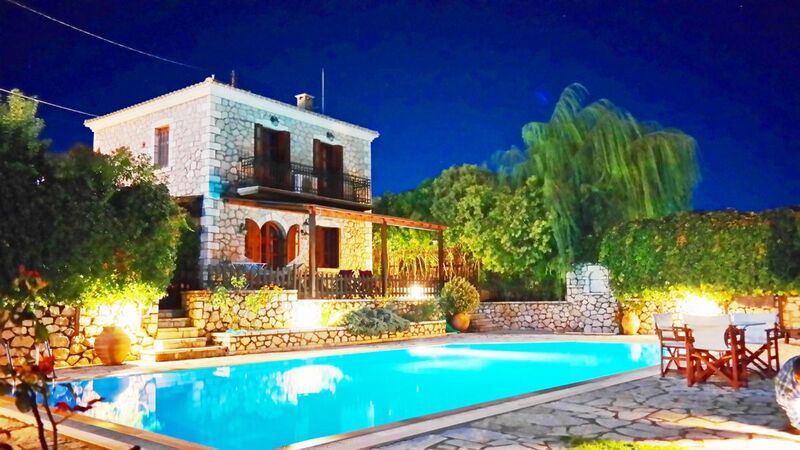 The chain consists of six properties that offer relaxing atmosphere, renovated and updated properties, high standards of personalized service and value for money: Villa Agnanti and the Villa Konaki in Marathon, the Anemones Villas and Lefkada Villas on Lefkada Island, the Porto Evia Boutique Hotel in Amarynthos on Evia Island and the Romanos Seafront Beach Villas in Pylos. 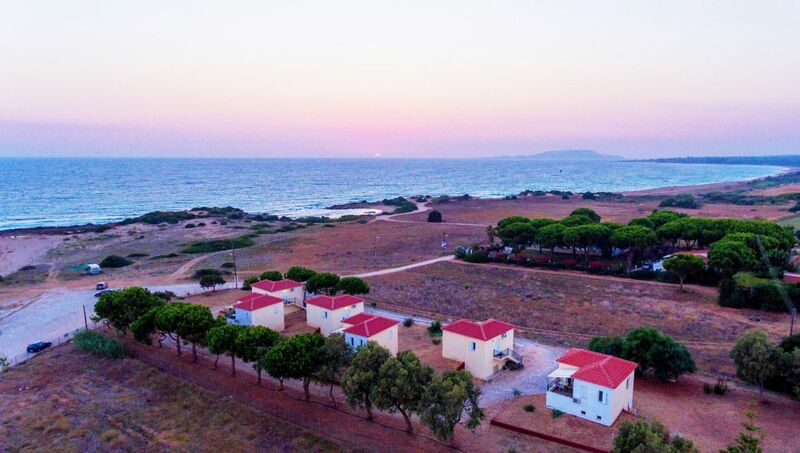 Romanos Seafront Beach Villas, Pylos. GTP: Did you specifically seek out investments in these destinations or did they just come about? George Papadopoulos: All Xenia Resorts destinations are accessible by car and there is a high volume of travelers visiting Greece by this means of transport. This has been noticed the last couple of years in Corfu, Lefkada and all north west coasts of Greece, even in Athens, Evia island, the Peloponnese etc. The new national roads – Egnantia and Ionia – created a consistent increase of travelers from Poland, Romania, Bulgaria and other countries connected to Greece by the road network, and from travelers flying to Greece and then hiring a car to explore many destinations. This is the alternative concept to the traditional tour operating. GTP: What nationalities visit the hotels of the Xenia portfolio? Do the hotels attract individual travelers? George Papadopoulos: Each destination is known to different nationalities. Due to the internet though, individual travelers explore Greece by visiting destinations reachable by car. Also, the umbrella of a chain of properties make travelers feel safe to make a direct reservation. 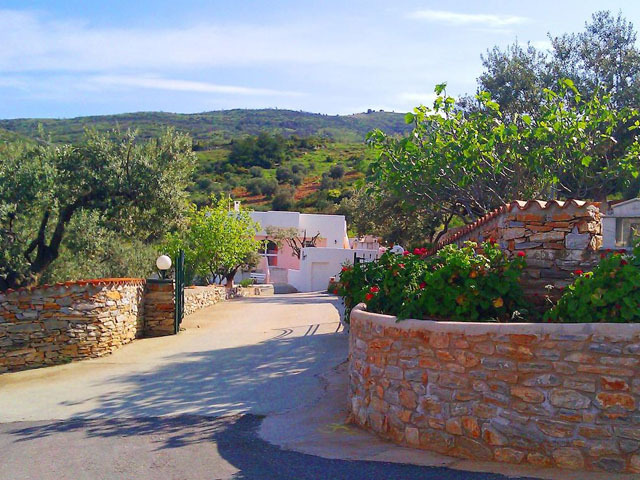 Therefore, we have many individual travelers and also many domestic travelers, as all our properties can be reached from Athens within 1 hour (Evia and Marathon) or about 3 hours 30 minutes (Pylos and Lefkada) at a very low cost. We welcome guests from The Netherlands, France, Poland, Romania, Switzerland, UK and Germany. GTP: The latest addition to the Xenia collection was the Porto Evia (former Flisvos Hotel) in Amarynthos, Evia. What should travelers expect from their visit to the destination in combination with their stay at the new hotel? 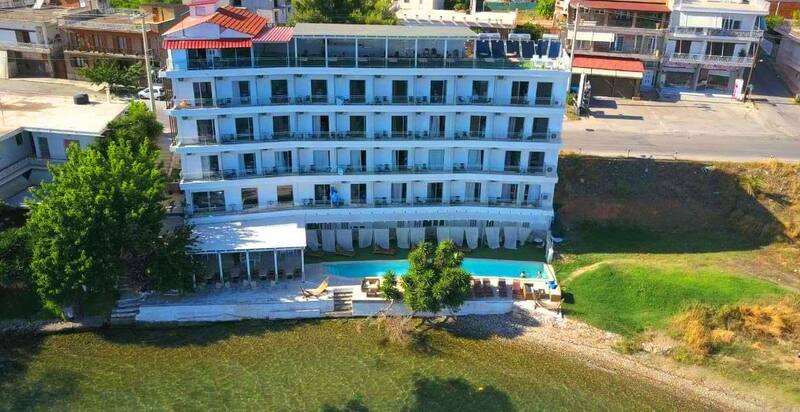 George Papadopoulos: The hotel was reconstructed into a minimal seafront hotel, with all rooms facing the Evoikos Gulf, located in less than 10 meters from the seashore, giving the impression of accommodation on a cruise ship. At the roof garden we offer breakfast and dinner optionally. Xenia Resorts does not offer any all-inclusive packages, a concept that I do not encourage as a professional, despite of my previous involvement in the creation of this concept as a tour operator. Evia Island is the second biggest island in Greece, it has a lot to offer, including ancient sites, beautiful beaches, value for money in accommodation and very nice gastronomy options. GTP: 2018 is expected to be another record year for Greek tourism. Now that the season is coming to a close, how would you say the year developed for the hotels of the Xenia chain in general? George Papadopoulos: Xenia Resorts properties are relatively new, therefore we now create our repeat clientele and build a brand name for those who look for a tailor made holiday with personalized concierge service across their holidays in Greece. Obviously this helps numbers keep increasing and our main goal is to pursue successful investments, expand the portfolio and make quality improvement renovations. We were very happy to welcome repeat clients in 2018, more than any other year. We also noticed the interest of our clients to experience other Xenia Resorts in different destinations than the ones they originally met us at. GTP: What are your future plans for the Xenia Resorts & Villas chain? George Papadopoulos: The plan is to maintain the high standards of accommodation and levels of hospitality. Certainly our goal is not the franchise neither the management of hotels, but only the expansion of the chain with properties that we control entirely. Also, following the need to establish a technologically updated service and accommodation and have launched an innovated website and electronic presence. We strongly worked in this direction and created the new website of www.xeniaresorts.com that is easy for the visitor to identify, within only two minutes, the main concept of each of our properties, via video presentations and a direct experience presentation with the use of bullet points. GTP: Based on your experience as a hospitality professional, what would you say is Greece’s strongest tourism product? George Papadopoulos: Most surely “Sun and Sea”. This is the product that never faced severe issues in the past in Greece. Cultural interest comes second. The most common questions for information by the guests to our concierge service agents, is the direction to the best beach and not the best museum in the area. Tourists staying in Greek resorts are looking for a nice beach, nice weather and experiences. Greece offers stunning beaches, great weather and climate, and locals have a very welcoming culture. These are our strongest selling points. GTP: The Greek Tourism Ministry is aiming to establish Greece as an all year round destination, open 365 days a year. As a hospitality professional, what are the main factors for Greece to reach its goal? George Papadopoulos: Concepts must be created to attract year round tourism. Over 20 types of tourism can be developed in our country, like dental and medical tourism, fishing, agritourism, wellness, mountain adventure and others. Travelers feel secure in Greece, which is a competitive advantage and the main reason of the tourism growth in Athens. The infrastructure, however, does not help Greece develop year-round products. There is potential mainly for the cities on the mainland rather than the islands, like we noticed in Athens over the last two years. Our mountains and specifically the ski resorts, are not ready to receive significant number of visitors. GTP: What are your thoughts on the sharing economy? Do you see short-term rentals as a threat or do you think that there’s enough room for all in the market? George Papadopoulos: It is a threat to the organized and professional accommodation service providers. The taxation of hoteliers has increased significantly. Regarding short-term rentals, there is no control of the quality or any kind of other procedures except the guest reviews on the electronic platforms, the social media channels and the websites. In the very peak season of course there is room for all, but this is only a short part of the year in Greece. The short-term rentals industry has to operate in a more controlled way. GTP: What concerns do you have as a professional in the Greek hospitality industry? George Papadopoulos: The country’s infrastructure around the tourism destinations, concerns me. We notice in many destinations that the road network is poor, the train network is old and slow or even non-existent, the airports need upgrading and certainly additional airports are needed. For instance, Evia is the second biggest island in Greece and it does not have its own airport, neither a highway or a train network. Greek hospitality is improving and hoteliers constantly make improvements, sometimes under the threat of online guest reviews that have an impact on their business, but still, it works well and Greek hospitality goes forward. George Papadopoulos: …all about making his guests happy!